Some may consider wax sculptures, such as the ones in the famous Hollywood Wax Museum, less refined than marble and wooden sculptures. However, these sculptures' beauty lie in the way they appear slightly translucent and reflect light. Beeswax sculptures offer extra texture because the honey-comb design the fills the entire sheet of wax. These sculptures are made with many of the same sculpting techniques as other sculptures, such as those made of marble. Draw a design of your sculpture using a pen and paper. If you are new to sculpting you may wish to make your design simple. Pull out your sheet of beeswax so that it is flat. Scrunch the wax together so that it forms the general shape of your sculpture. For example, if your sculpture is carved from a cylinder, wrap the sheets together in the shape of a cylinder. Place the block of beeswax on the flat inflammable surface. 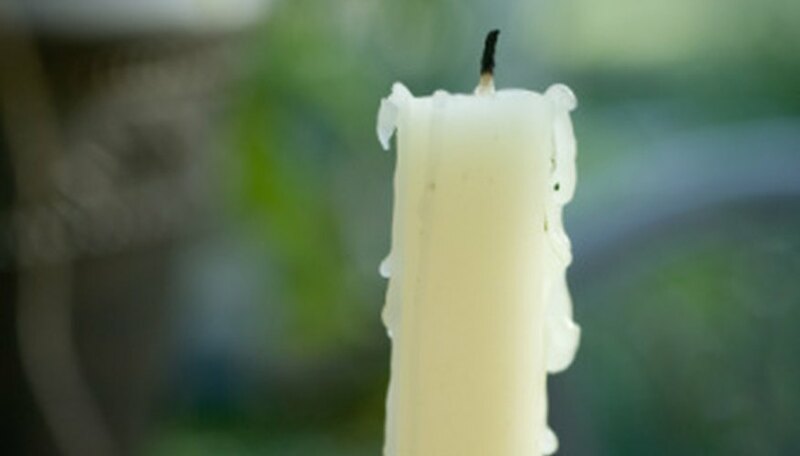 Heat the wax slightly by running a match over it. Hold the match about 1 inch from the edge of the block for several seconds. Move it up or down until you have softened the wax slightly. Shape the beeswax using your fingers. Push wax in the appropriate direction or scoop it toward you to remove it. Add extra wax, if necessary, by pressing a small piece of beeswax into the sculpture. The heat from the sculpture should soften this small piece to the point where you can shape it. Cut away a large section of beeswax by running a wire loop through the wax. Cut away smaller section of wax using a miniature wire loop tool. Remove small sections of wax using a shaper tool. Hold the shaper tool against the surface of the beeswax sculpture and move it in the direction of the beeswax you want to remove. Continue removing small portions of wax until you have finished sculpting.